Now, before I dive into the deets of these mason jars filled with nutritious pumpkin-y goodness, can we just take a minute and ponder on a thought for a second? Where the heck did summer go?! Like guys, if we’re being honest with ourselves.. summer came and went with two blinks of an eye. Okay…maybe I’m just being a little over dramatic and need to come to terms with the fact that summer could be 10 months long and I would still complain. *sigh* I guess I’m still trying to get a grip of this whole adulting thing. But, I think it’s officially safe to say that those late nights and sleep ins are way behind us now (hello Fall semester). With the crazy schedules returning and with some of us lucky if we can even make it out of the door in time with matching shoes on and a banana in hand, I thought that I would introduce some quick morning comfort into the mix. Some quick comfort wrapped in cinnamon spice and pumpkin. These oats basically have a way of saying “you’ve got this, bud. Monday’s got nothin’ on us” in every little bite. 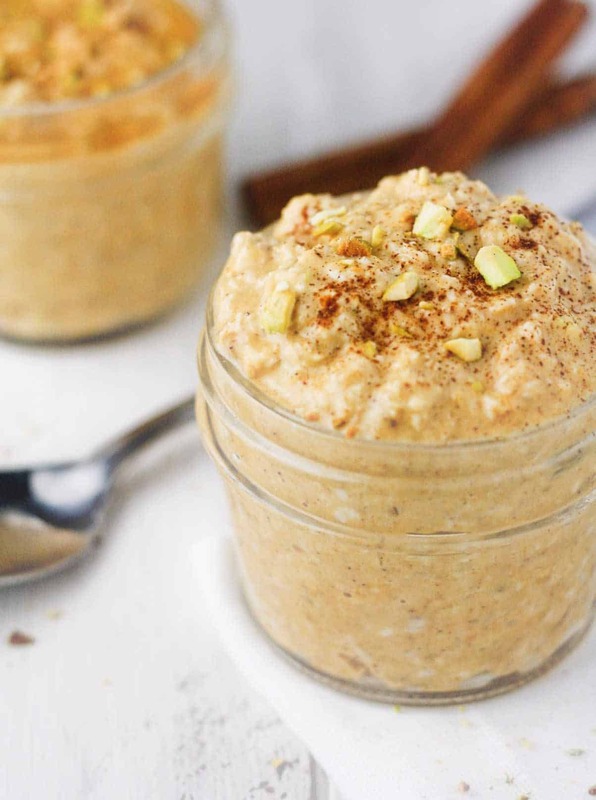 I’ve been loving the wonderful world of overnight oats for quite some time now, but even more so now that it’s about to be Fall and I have an excuse to pack them with apples and cinnamon and pecans and…ahhhhh okay let me stop *drool*. But seriously though, who doesn’t love a deliciously satisfying 5 minute breakfast that’ll help you keep those obsessive snacking impulses under control until lunch time? We’re winning friends. Goals. Add all of the above ingredients to a medium sized bowl or a mason jar and combine thoroughly. Cover and refrigerate overnight (or at least 3 hours). Enjoy! Your overnight oats look yummy. I have made overnight oats before, but have never tried it with pumpkin. I would love this for breakfast!